Benefits Of Green Tea – Everything About The Traditional Indian & Chinese Medicine! Admit it when I say that Green tea is not something that can be relished and enjoyed on each and every sip but someone who is totally health conscious would gulp it down in a single shot! Why? Considering the benefits of green tea probably! But, you can also make the tea delectable and enjoyable if you know the right recipe and enjoy the health benefits simultaneously. In fact, there are various types of green tea that you are going to discover as you scroll down! About The Versatility Of Green Tea Leaves! Green tea is brewed from the leaves of Camellia sinensis! The irony is, we use the same leaves of Camellia sinensis plant to prepare other popular and healthy teas like oolong tea and black tea but nothing can match the peculiarity and medicinal property of green tea because of the following attribute that is noteworthy. Green Tea Leaves Are Less Processed! The aroma, the colour and the flavour of the tea are due to certain substances called flavonoids that are released when the tea is brewed. Flavonoids contain catechins which exhibit antioxidant property so that free radicals are reduced, thereby preventing the healthy cells from getting damaged. Remember that free radicals destroy healthy cells which when occurred rapidly can take a total negative toll on our health. The tea leaves after being plucked are processed which means that they are more oxidized. More is the process of oxidation, darker is the colour of the tea. Also, with minimal processing, more catechins are retained in the leaves.1 So, the antioxidant property of the leaves is also retained. But, that doesn’t mean oolong tea and black tea are unhealthy. They have their own advantages! Green tea, oolong tea and black tea are all prepared from same leaves (Camellia sinensis) but they get their distinctive aroma and colour due to the variation in the method of processing. When tea leaves are not processed much, they retain the antioxidant property and light green colour is imparted to the leaves (Green tea) whereas the same leaves are more processed which reduces the antioxidants and makes the leaves appear much darker. (Oolong tea and black tea). Processing here refers to oxidation! Here is what exactly green tea does to your overall health! 1. Why Is Green Tea The Best Tea For Weight Loss? We see many advertisements that suggest drinking green tea for losing weight and we might wonder whether this really works! Fact is that green tea helps in weight loss and here are some of the facts that are scientifically proven! Green Speeds Up Your Metabolism. 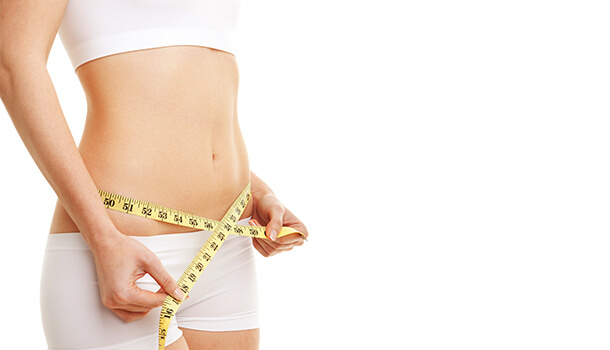 Metabolism is the process where food gets converted into energy during which calories are burnt. So, faster is the metabolic rate, more will be the number of calories burnt! How Green Tea Helps Diabetics? Diabetics are more likely to develop cardiovascular diseases and obesity which is why there is a need for them to keep a check on their diet, go for regular checkups and exercise regularly so as to prevent the risk. Drinking green tea would be a perfect decision since green tea can eliminate fat and reduce the risk of heart diseases. Green tea not only favours those suffering from diabetes but also prevents the risk of being prone to this most common chronic disorder. Heart diseases have become the most common cause of deaths worldwide! In order to reduce the risk of heart diseases, we need to accept the fact that it is our eating habits that have been landing us in the problem so that we can make the necessary changes! The consumption of saturated and trans fats in excess amounts has been leading to a surge in the levels of LDL (bad cholesterol) in most of us and this is a serious problem which needs to be addressed! 4. How Green Tea Benefits Your Brain? Neurodegenerative disorders are common to occur due to the onset of age! These are the disorders which occur due to the death of nerve cells. Alzheimer’s disease, Parkinson’s disease and dementia are the most common brain disorders but you can choose to not get susceptible to them if you take certain preventive measures from early adulthood. 5. Does Green Tea Really Prevent Cancer? Researches and evidence have to say that antioxidants present in green tea can repair the damage caused to DNA, but it might not exactly help in preventing cancer! But, as a matter of fact, free radicals when not controlled, can go on destroying the healthy cells, resulting in the damage to DNA which ultimately leads to mutations. But, the fact that antioxidants can control the free radical activity might convince us that green tea can prevent cancer. 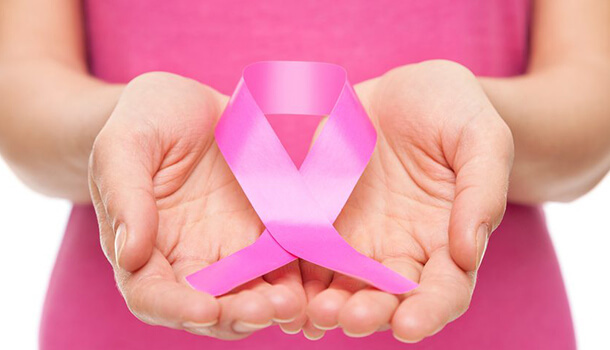 Furthermore, polyphenols are known to stop the cell invasion and prevent metastasis (the proliferation of cancer cells from one site to another). Regular consumption of green tea (4-5 cups) per day may improve your overall immunity and prevent the onset of various diseases. Maintaining a good skin care regime mays seem like an uphill task, especially if you have hormonal imbalances or if your skin type is too sensitive and dry. But, yes, you can eliminate all your skin problems if you follow the best tips with consistency and self-discipline. 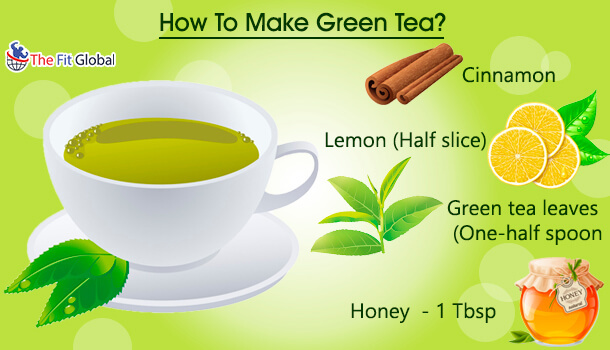 Drinking green tea apart from following the above-mentioned tips can help in eliminating the following skin problems. This is due to the special catechin group (Epigallocatechin gallate) which shows antioxidant properties. Skin inflammation is most commonly witnessed in those people who suffer from certain skin disorders like eczema, seborrheic dermatitis, psoriasis and rosacea. Excessive sebum production is one of the reasons for the development of acne. If you have observed your skin becoming greasy within no time, ensure that you cleanse your skin thrice a day. Being deprived of sleep is one of the common causes of dark circles, but if you have found dark circles emerging even after getting enough sleep, you must realize that there are other possible causes of dark circles like excessive eye strain, allergies, overexposure to sun and dehydration. Surprisingly, dark circles are also hereditary! Soak 2 green tea bags in water for 5-10 minutes. Remove the bags and let them cool. Store the tea bags in the refrigerator for a few hours. Lie down and relax! Place the tea bags under your eyes for a few hours after which you can remove the bags and rinse the treated area to feel refreshed. We undeniably require good nourishment through food intake for proper hair growth! 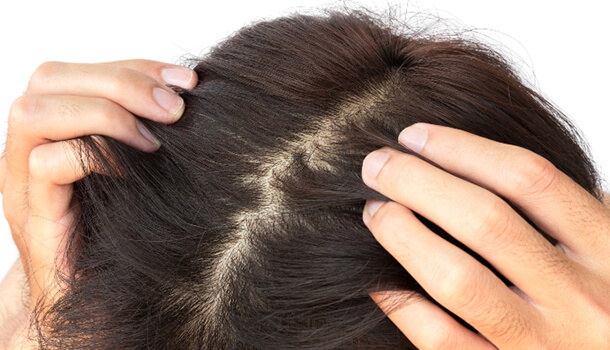 But, certain hair care tips can also help us in maintaining long and silky hair strands. Here is how green tea can eliminate your hair woes! Regular consumption of green tea can stimulate hair growth and the credit again goes to the antioxidant group (EGCG) present in the beverage. Dry and itchy scalp is an alarming indication of dandruff but you can make use of green tea to cleanse your scalp and get rid of dandruff. Applying green tea to your hair and scalp as a post hair wash tip can soothe your scalp since green tea is anti-inflammatory in nature. 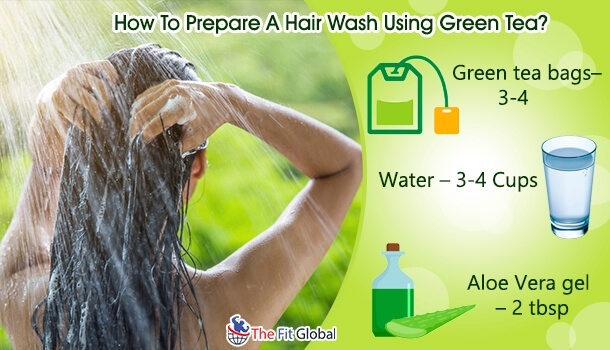 How To Prepare A Hair Wash Using Green Tea? Pour the required amount of water in a saucepan and dip the tea bags into the water. Heat the water on a medium flame and let it steep for 10 minutes. Turn off the flame and discard the tea bags. Let the tea cool after which you can add aloe Vera gel into it! Mix the tea added with Aloe gel and transfer it into a sprinkler bottle. Sprinkle the green tea onto your hair and scalp, soon after your hair wash and massage it with your fingertips for several minutes before you finally rinse your hair. Now, you know what exactly happens to your body if you drink green tea regularly! All you need to know is how to make green tea savoury so that you can rejoice the taste and enjoy the best benefits! If you haven’t tasted a delicious green tea yet, here is an interesting flavoursome recipe! Boil one and a half cup of water on a low medium flame. Add half stick of cinnamon to the water along with the green tea leaves. Let this steep for about 10-15 minutes or until you feel that the water has absorbed the flavour of the ingredients that you have added! Turn off the flame and extract the tea into a cup using a strainer. Add a tablespoon of honey to the tea and squeeze fresh lime into it to enjoy the rich and tasty flavour. What Is Matcha Green Tea? Why Is It The Best? If you have been looking for the best type of green tea that would help you reap the maximum health benefits, matcha green tea would be the best choice and here is why! Matcha green tea is prepared from the leaves of camellia sinenis like all other teas but the speciality lies in the process of harvesting and processing! The leaves of the plant are covered so that there is no direct exposure of the plant to the sun (before a few days of harvest). This activity enhances the nutritional property of the leaves and increases the antioxidant power and caffeine content. The leaves are then powdered and sold like regular green tea powders, except the matcha green tea powder is a great source of amino acids, caffeine and antioxidants which is of a superficial advantage! Well, that’s all about green tea! Hope you could get the best possible information about green tea. Wait for my next article to know about the types of Green tea in detail!